Chamber of Commerce Farmers Market - Join us for wildly successful, Alberta Approved Sunny Girl Market. We boast over 80 vendors at our outdoor market. Rain or Shine. Lots of Family Fun, entertainment and something for everyone in your family! 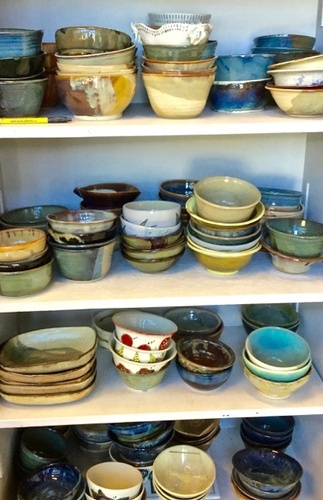 The Empty Bowls Event is back! Join us on Thursday, September 20th at the last Farmers Market in Fort Saskatchewan, from 4:30 pm until we sell all 200 bowls. $10 buys you a beautiful handcrafted bowl made at the Fort Saskatchewan Pottery Guild AND either a free soup voucher or some delicious soup mix! We sold out in less than an hour last year - don’t be late! All proceeds go to the Fort Sask Food Bank. It’s a SOUPER deal, so come out and support your locals! Visit fspg.ca for more details.